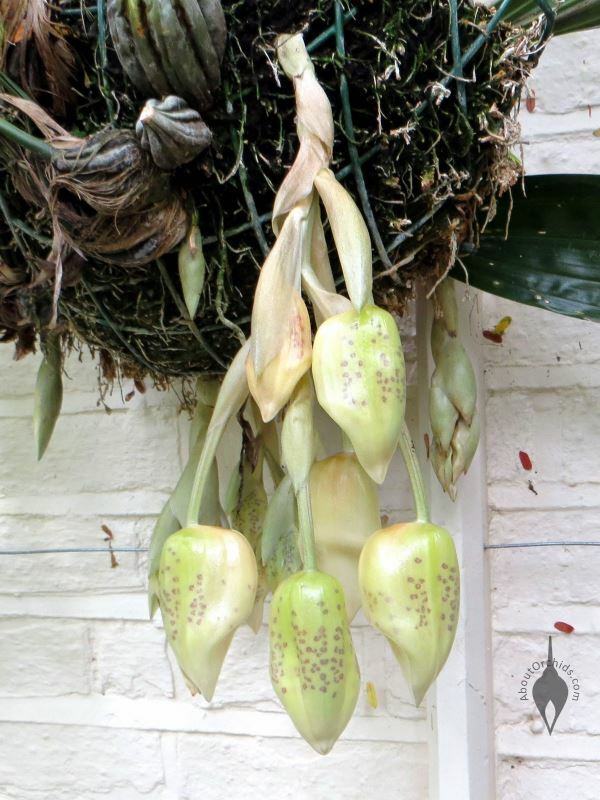 Where can you find orchids in London besides Kew Gardens? 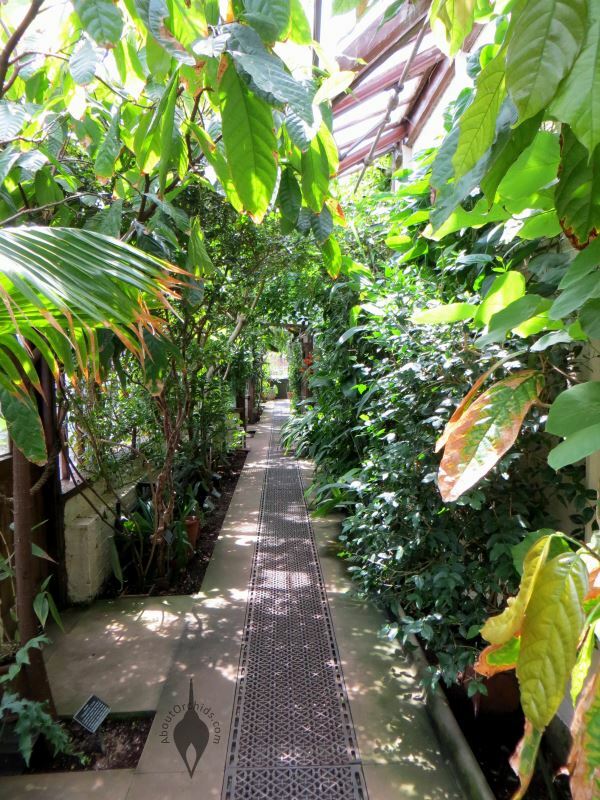 Try the smaller, lesser-known, and older Chelsea Physic Garden. 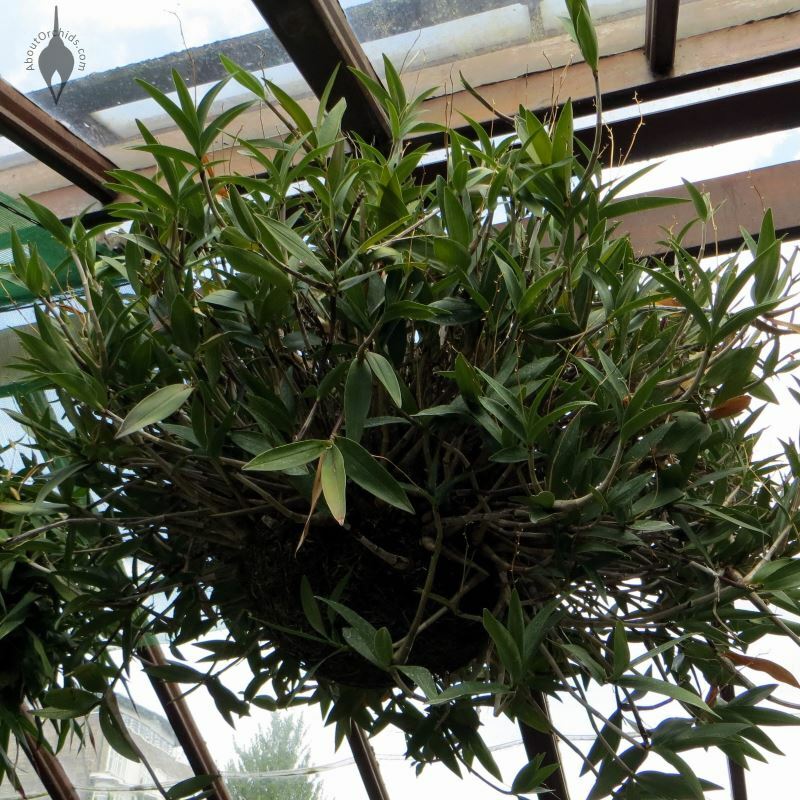 Inside its glasshouses, Chelsea Physic Garden houses a small but impressive orchid display. Founded in 1673 to study medicinal plants, it’s one of the oldest botanical gardens in the world, 86 years older than Kew. 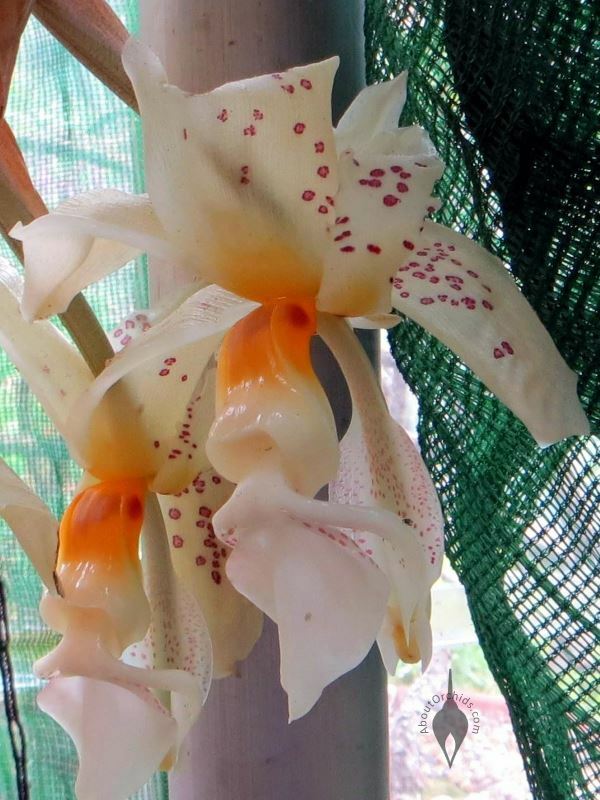 I visited at the end of June, and found some great orchids in bloom. 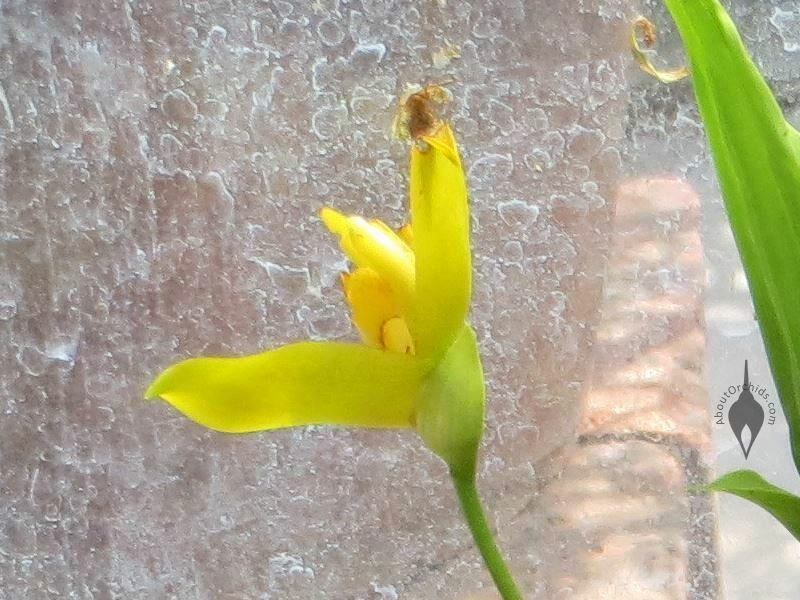 There were several beautiful and bizarre Stanhopeas in bud, and a couple more in flower. 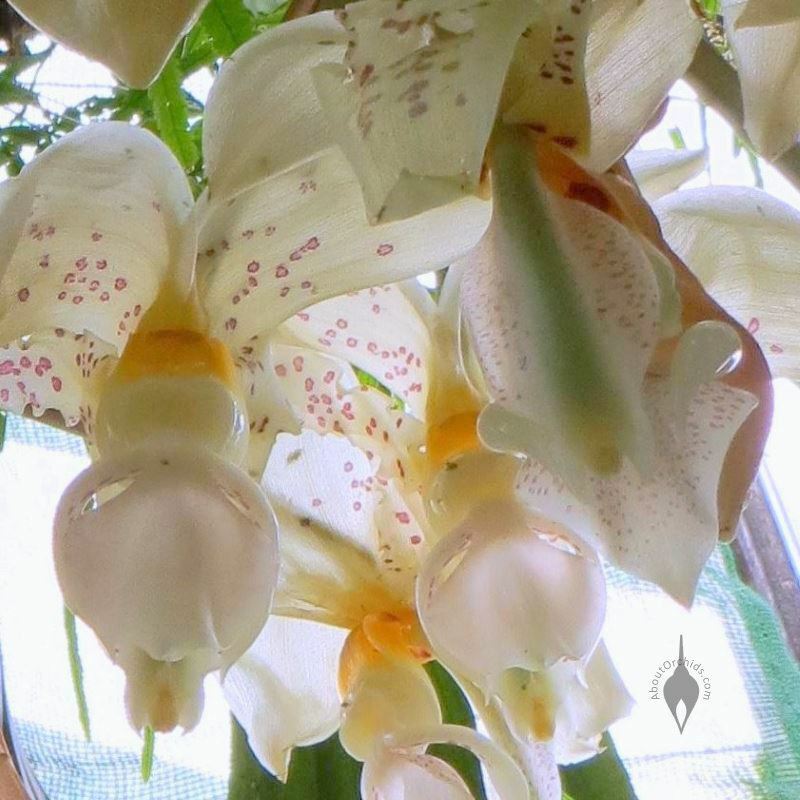 These orchids were on display in the glasshouses next to the Gift Shop. 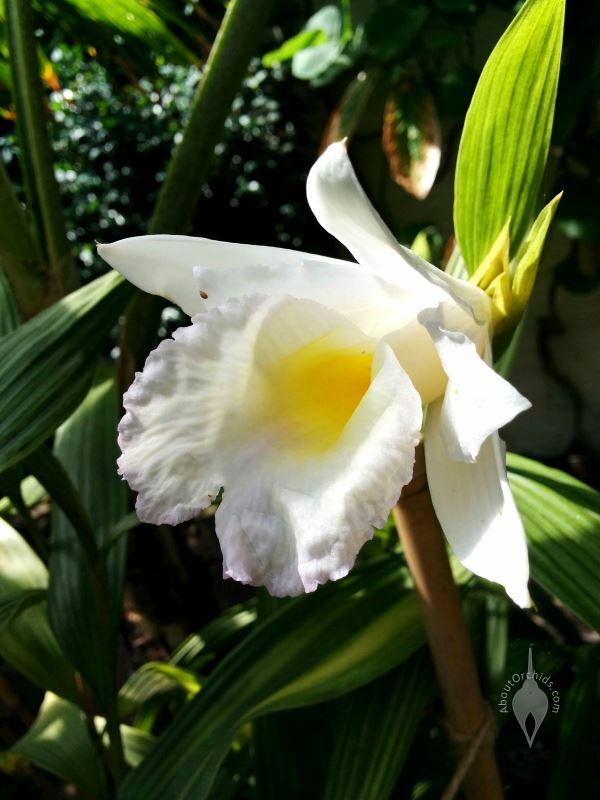 The Tropical Corridor Glasshouse showcased this brilliant white Sobralia blossom and climbing Vanilla vine. 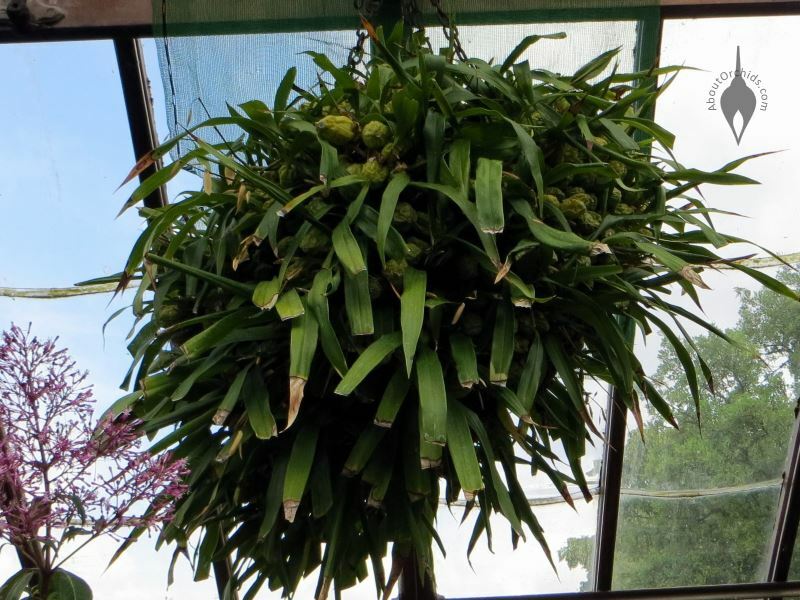 There were several large orchids hanging in intermediate glasshouses, too, including the Dendrobium and Coelogyne in the final two photos. They must be spectacular when in bloom, and they’re both fragrant, also. 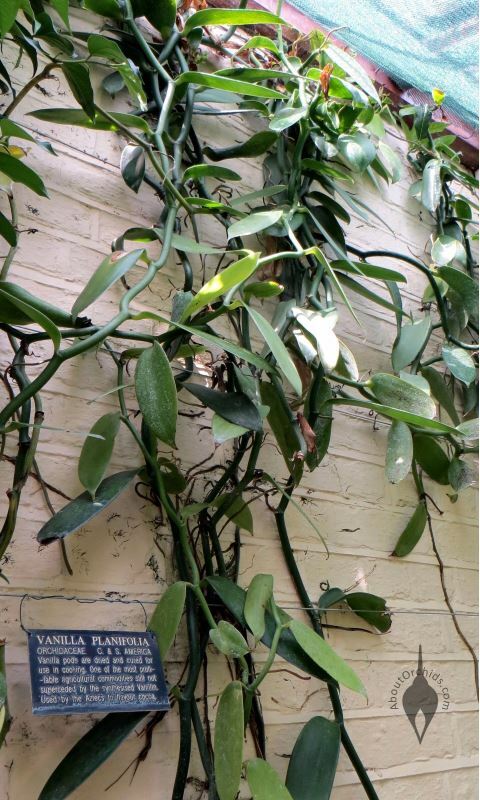 Orchids are just a small part of Chelsea Physic Garden. Its main displays highlight medicinal, edible, and other useful plants, and also feature a new woodland grove. Don’t miss historic Chelsea Physic Garden when visiting London! This entry was posted on Friday, July 17th, 2015 at 6:30 pm	and is filed under Botanical Gardens, Photos.